Spiralize your way to this tasty side salad. Yellow and green zucchini team up to make a colourful and tasty salad for four. 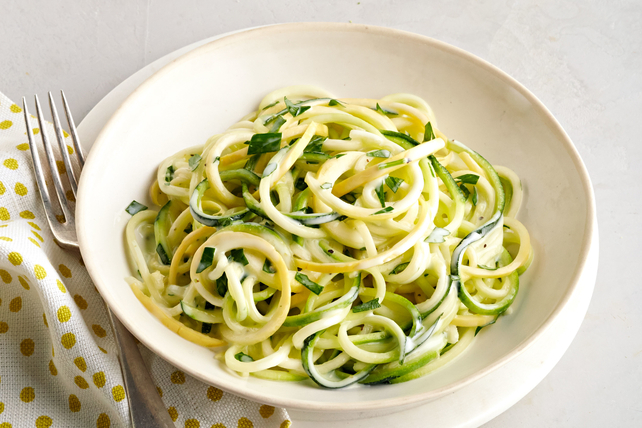 Use spiral slicer to cut zucchini into thin spaghetti-like strands; place in medium bowl. For best flavour and crunch, serve this delicious, yet simple, salad soon after preparing.